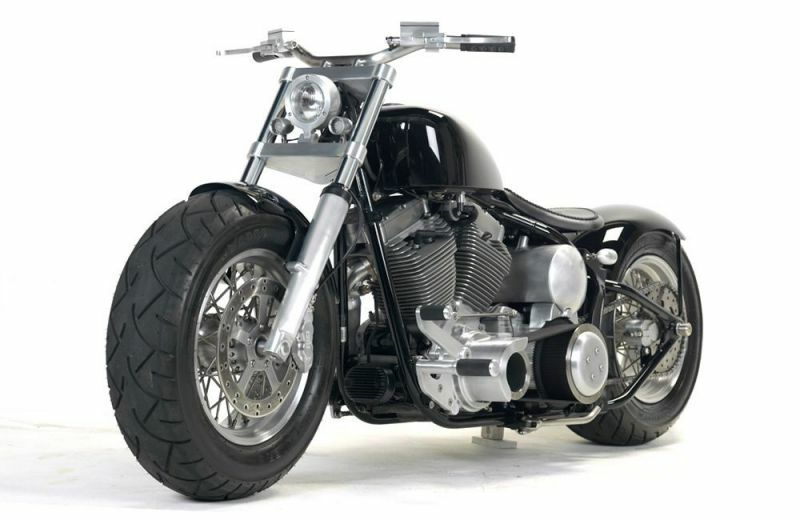 This is a rendition of our original Bulldozer created from a 2007 Harley Softail Standard. 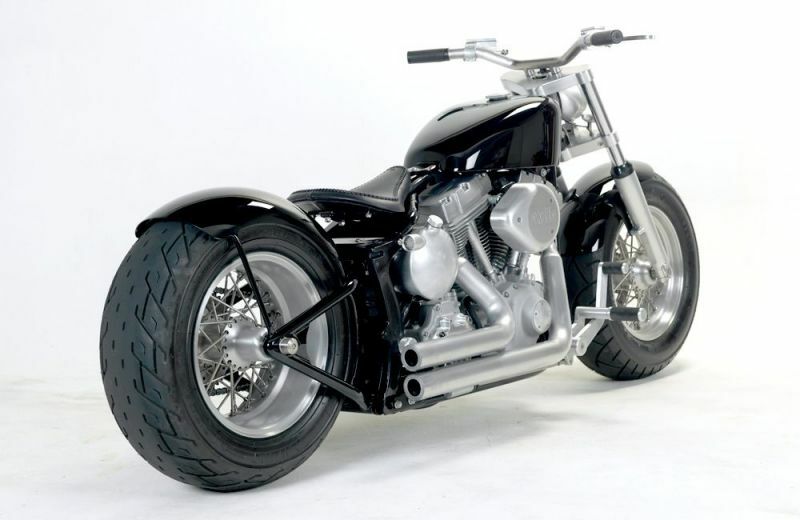 Truly an Exile classic - with 230 rear tire, 200 front tire, and all the usual Exile goodies. 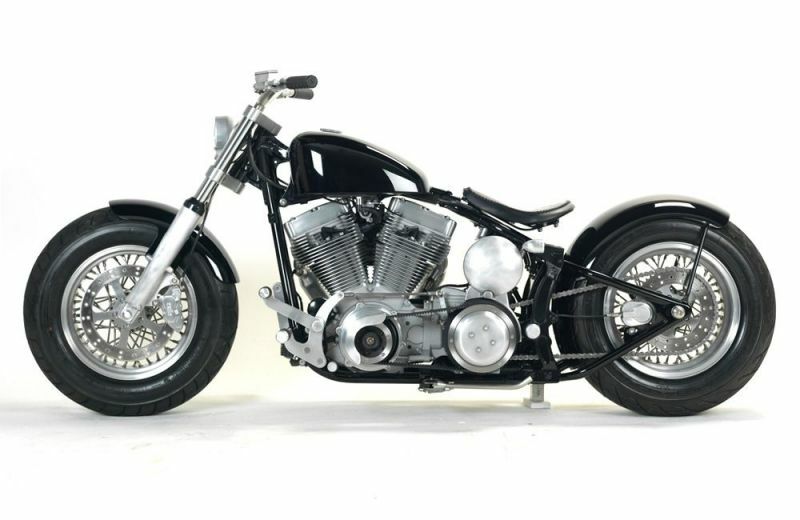 This bike features around $20,000 of parts from our catalog, plus some minor fabrication work, paint, etc.